Today I reflect back on my Grandma, who passed away 12 years ago. Its hard to believe its been that long and how much life has changed since then, I was only a junior in high school. I hope she can see me and the person I've become - I hope I make her proud. I think of her often and the joy she brought to my life. She taught me to be kind and patient; she taught me to be myself no matter what. Perhaps I get some of my stubbornness from her as well :) She is dearly missed, but I'm so happy that I get to carry a part of her with me every day. 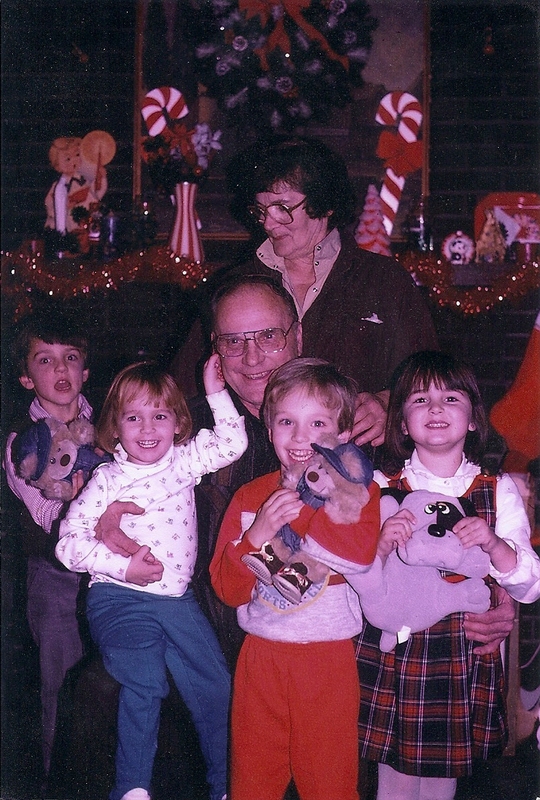 Here she is, clearly avoiding the camera, but man did she love us grandkids! !